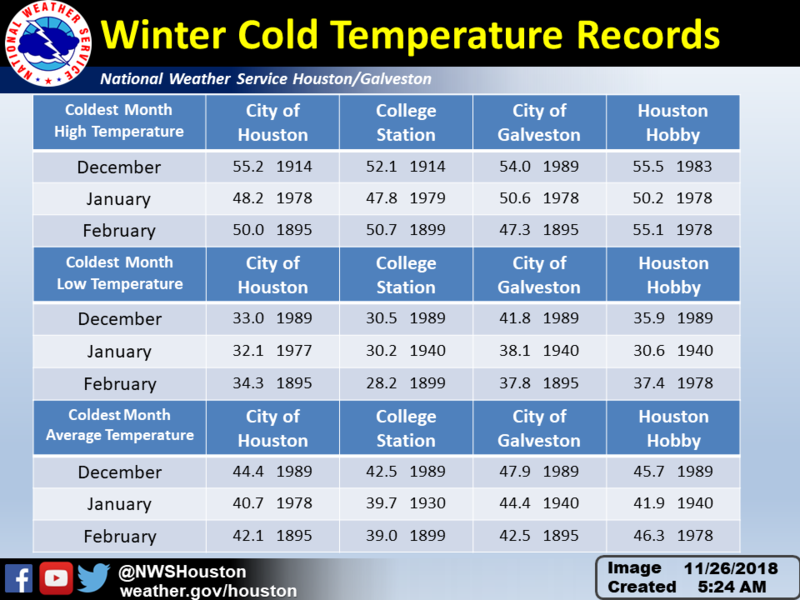 The following is a list of Houston's Top 10 wettest, driest, warmest, and coolest Februarys (see note below table). The official observation site for the city of Houston was moved quite a few times during its long history. The city office was located in downtown Houston and observations began in July 1881. 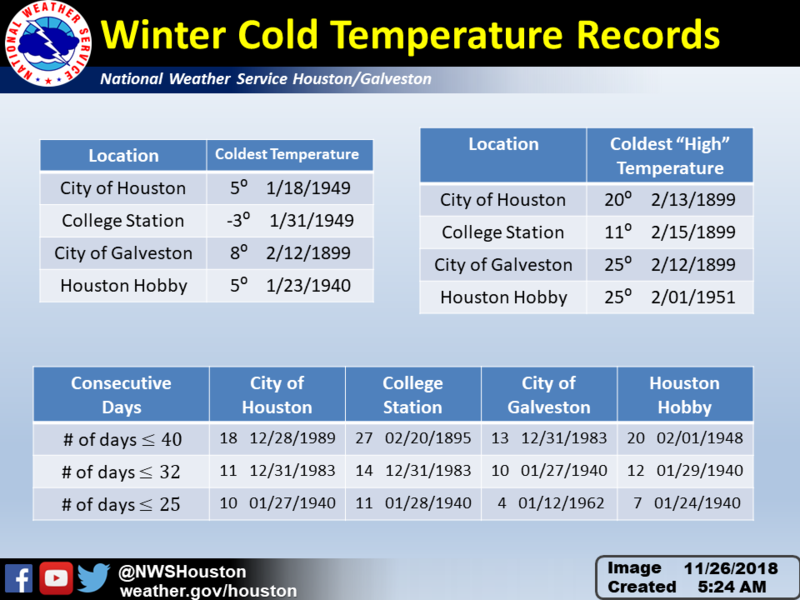 Regrettably, weather records prior to 1889 are not available. 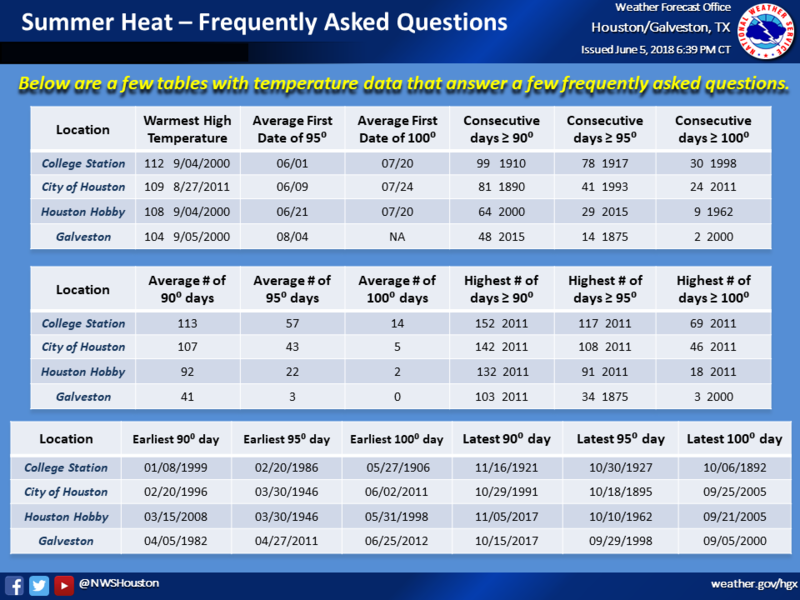 However, a relatively complete set of daily temperature and rainfall data is available dating back to 1892 with some temperature and rainfall records dating back to 1889. The city office remained in downtown Houston from 1881 through May 1969. Intercontinental Airport opened in June 1969 and the official observation site was moved to the airport upon its opening. The official observation site has been located at Intercontinental Airport ever since. Although the downtown office was the official observation site for almost eighty years, the office moved quite a few times around downtown Houston. Below is a list of locations and dates of the official observation site. Questions/Comments concerning this data should be sent to Nikki Hathaway.